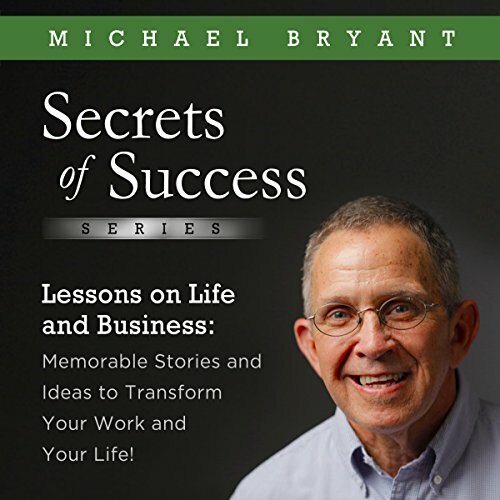 Showing results by author "Michael Bryant"
Memorable Stories and Ideas to Transform Your Work and Your Life! I have been called an observer of people and situations. I am constantly mulling over why people do what they do and how they can do it more effectively. But more than that, I am a doer. I like to dream big dreams and make them come true. In addition to running a successfully consulting business for over 35 years and raising three successful adult children with my wife Nancy, I have also found time in the last 10 years to complete six Ironman triathlons - number six in 2016, as a way of celebrating my 66th birthday. Have pen and paper ready!